The Chadwick Collection Reflects The Beauty Of Hand-Turned Craftsmanship Inspired By Early 20Th Century Lighting And Antiques That Have Surpassed The Test Of Time. This Robust Collection Features Detailing Appropriate For Classic Or Transitional Decors. 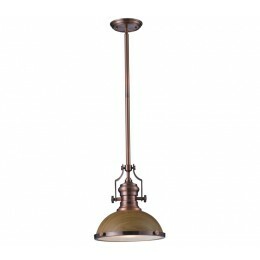 Finishes Include Polished Nickel, Satin Nickel, Antique Copper And Oiled Bronze. Various Diffuser Options, Including Glass, Metal, And Wood Printed Metal Shades, Allow For Adaptability To Almost Any Design Scheme. - LED Offering Up To 800 Lumens (60 Watt Equivalent) With Full Range Dimming. Includes An Easily Replaceable LED Bulb (120V). 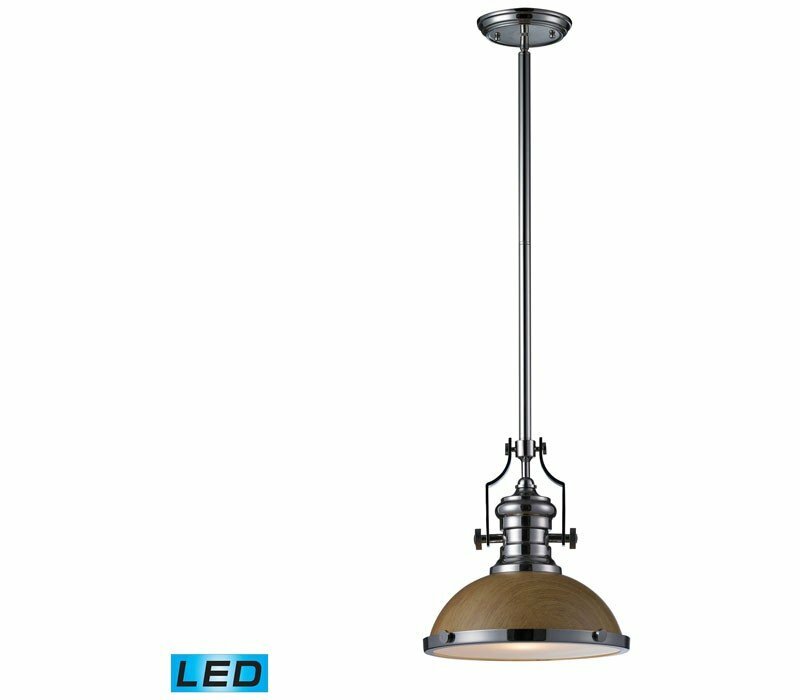 The ELK 66564-1-LED Chadwick collection Pendant Lighting in Polished Nickel uses LED light output and brings Antique style. The total wattage is 13.5 and the voltage is 120 volts. 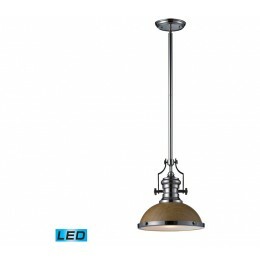 The ELK Lighting 66564-1-LED requires 1 bulb (included). Additional Information: Shade-Tempered Glass Diffuser - Type 3.